Allergy eyes or allergic conjunctivitis is the irritation of the conjunctiva, or covering of the eyeball, as a reaction to an allergic substance to which one is sensitive. Allergic conjunctivitis, which is not contagious, causes one's eyes to become watery, red, swollen, itchy, and often painful. 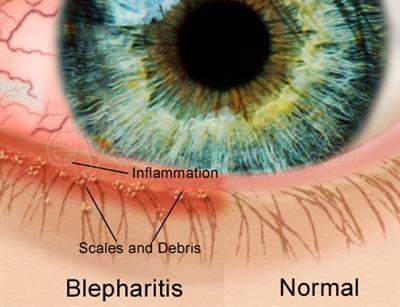 This condition, which is may also be called allergy eyes, may possibly either immediately impact a person, or affect them after a period of time. Seasonal allergic conjunctivitis affects people during specific seasons of the year while perennial allergic conjunctivitis impacts people throughout the year. Allergic conjunctivitis can cause much discomfort due to the symptoms listed above. 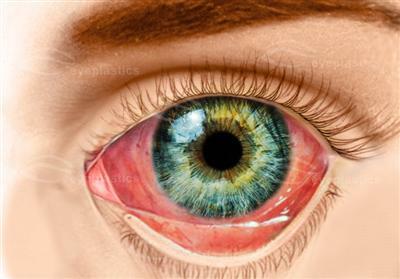 In adds to, untreated allergic conjunctivitis may possibly cause someone to commonly rub his/her eyes, which could lead to permanent eye damage. Dust mites, tiny bugs that are related to spiders and ticks, also cause allergic conjunctivitis. Cleanliness, moisture levels, among other factors have impact on the amount of dust mites that may possibly be found in your home. Allergens are the most common cause of allergic conjunctivitis. Allergens are triggers or instigators of allergic reactions. Allergy eyes could be caused by one or several allergens. Thus several people may possibly have to avoid more than one specific allergen in order to prevent allergy eyes. Although there are a large number of allergens, there are certain types that occur more prevalently with the condition than others.